I’ve been watching this show, Lie to Me*, since it began, and I’ve got to say some things about it. These things are more than just the usual: you should be watching this, it’s good television, and the drama is engaging. Instead I want to talk about magic and chemistry. By all rights this is a show that should flop. A lot of its scriptwriting is rather humdrum, some of the characters are cardboard cutouts, and it on occasion breaks down into a formulaic pile of dog poo. However, much like House, it goes beyond all that and you just end up liking it in the end. (Media) Moments Frozen in Time – Favourites. Favourites are moments which had been frozen in time. At least the ones which we can find in media, because as we all know, memories are something which is constructed, and not only at the time in which they occur, they keep being constructed after the fact to fit with new information received. Media memories are memories, or rather, occurrences from books, movies, series, music, they are frozen in time, crystallized, so to speak, because we can return to them, time and time again. The passage that had stirred our blood so in a novel, the elation that we had felt when listening to an overture in an opera, and so many others. But can we truly return to these perfect moments, to revisit these perfect memories, or are our memories moments that are constructed from an alchemical fusion of two things, which can never truly be reproduced, as Dr Jackyll had found to his dismay? A unification of the media section, that indeed can be experienced again, and of our emotional and psychological state at the time, which are not only something one would be hard pressed to reproduce, but even to merely identify? Read more, and please share your own frozen perfect moments! Constructing Time – Philosophy, Rambling, Christmas. Time is of the essence, or so they say, and time keeps running out. It is funny to say that time runs out, because as many of us know, or at least have been told, time is infinite, so how can it be that we never have enough? Well, look at space, and what we are told of space and matter. If space is infinite, and the amount of matter is finite, then comparatively speaking, there’s no matter in the world. If you divide any number by infinity, you end up with a zero. The White Rabbit. From Ryo Ueda's Alice Fantasia, from icie. Time! Time! Likewise, the problem is not that time is infinite, but rather that we only have a finite amount of time, so we always have no time, because for us, the amount of time, figuratively speaking, is always zero. Keep reading to see how it all makes sense, and why it is also seasonal! Star of County Down; Music “Monday”. Seeing how few entries got posted between last Figure Friday and the next one (hopefully today’s), which was the same thing last week, I decided to write this short post, and not to let the fact that it’s not, well, Monday, stop me. I actually have quite a few posts planned, but with the combination of the onset of winter (and before that scalding heat), and the return of school, it’ll take me a bit of time to find the energy to get back to rolling out more entries. The Star of County Down is an irish folk ballad, written somewhere in the 19th century, which I like quite a lot. I came across this song one day while surfing irish and celtic music on YouTube (I have quite an ecclectic taste in music, and a penchant for irish and celtic music), and it had struck me as quite… familiar. I’ll let you listen to my favourite version of the song, by the Irish Rovers, who have some very nice renditions of Irish classic songs (and some others, such as “Farewell to Nova Scotia“). Odds and Ends. Also, Endless Eight Thoughts. This post will be a rare collection of odds and ends. I’m just undergoing major crunch at school this week and will resume normal posting on Sunday. Also, some Endless Eight thoughts at the end. There will still be a Friday Figure post later today (it’s Friday here). There are a couple figures I have taken photos of which will go up sometime next week, I have three figures in the mail, and another magazine with an accompanying figure. It is currently GenCon, the biggest RPG convention in the world, set in Indiannapolis, and there will be a post on stuff I found interesting from it after it ends (probably a Monday post, will probably give people a week to recover and tell us what’s hot, a Monday post could only be about the big news). I am going to cover the Ribbon Drive game, where you tell the story of people on a road-trip, which can be played on an actual road-trip. I will finish watching and hopefully make up a post about To Aru Majutsu no Index (A Certain Magical Index). I will finally set up the Links page on this blog. I may cover “Meaningful Sentences” to me in books, such as Sabriel to a lesser degree, and anything by Glen Cook (The Black Company, A Chronicle of the Dread Empire) to a greater degree. I may cover how something weighing characters down within a story can weigh the reader down, as in Eragon, or Interview with the Vampire (the movie). Whatever else catches my attention enough to blog about. I will try to finish some extra entries and put them in the “Drafts” section to ensure that if I suffer a crunch, there’s a ready-made entry to go up. When you can’t let eBay go, when you really should. Now, for a random anime thought, The Melancholy of Haruhi Suzumiya anime had finished its now infamous Endless Eight run, where the characters undergo a time-loop, and the watchers had to more or less undergo it as well, watching the same events unfold with minor variations over 8 weeks’ worth of episodes. Now, I have not watched the episodes yet, and am waiting for the new season to end. I did however have a thought from the second week on how it should end. I don’t know if that’s how it did, but that’s how it should have. Basically, the time-loop was caused by Haruhi enjoying herself so much she didn’t want the summer vacation to end. What was necessary was to make her await what’s to come in the school-year more than she enjoyed the vacation she just under-went. Solution? Kyon should have asked her out, for a date next week, after the summer vacation ends. Of course, if she had enjoyed the date too much, or hated it too much… but that’s the dangers when you’re playing with someone who’s effectively God. Jonathan Strange and Mr Norrell; Reading for Something Other than Story? Supposedly, we read novels for the stories they contain. We read for the fiction, we read for the characters, we read for what happens, and we hope it will not only move us, but will interest us. Words like “Atmosphere” are usually reserved more for our other senses: Movies, theatre, music. 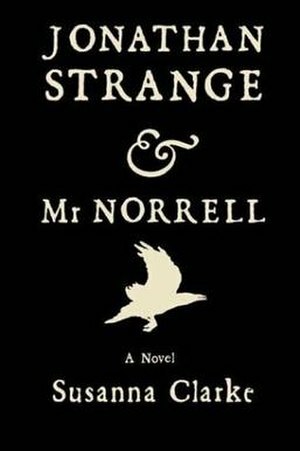 Yet, look at Jonathan Strange & Mr Norrell, by Susanna Clarke, where if you come reading the book solely for the story, you may very well leave satisfied, but you will also have to come equipped with considerable patience, whereas those who come for the atmosphere will be sated throughout the whole lengthy book (1,024 pages). Whether the book gives the atmosphere prevalent in the period it occurs (early 19th century) I do not know, but it is saturated with atmosphere. The language and spelling used also calls back to that used in England a couple hundred years ago, as reading Hume‘s “A Treatise of Human Nature” would shew you. Furthermore, the book makes extensive use of footnotes, by the author of the text (whoever that is), in which we both learn (fictional) historical details, mainly of magic, and old fables from the world Clarke had crafted. These footnotes sometimes go on for several pages, but the content they add is both charming and gives off the sense that this is a semi-academic write-up on the topic, which considering Mr Norrell’s nature, is not entirely misplaced. 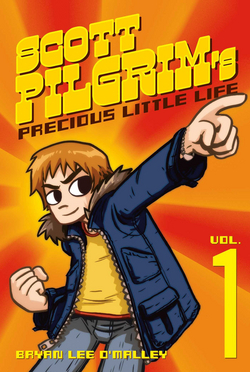 I’ve recently re-read the book, which indeed was somewhat of an undertaking, and surprisingly, it wasn’t as slow as I have remembered, but it was still somewhat slow. Considering the length of the book, if you look at a certain percentage of a book as exposition, then this book’s may be longer than most people would accept. You see, while what is happening in the beginning of the book is definitely interesting, it is also quite slow. The first section begins with a quote from later in the book, regarding Mr Norrell, who is the main character in the first section, which goes, “He hardly ever spoke of magic, and when he did it was like a history lesson and no one could bear to listen to him.” Now, to be frank, Mr Norrell is an unsympathetic little git whom none of you would like. He is tedious and petty, but at least in that section much of the emphasis is placed upon the social circles of London at the time. Once we reach Jonathan Strange, the story picks up considerably, being more interesting, being more action-packed, with conflicts between people and nations, and magical mischief taking place. Though the book does sag again slightly for a while towards the end, but it contains depths upon which to feast yourself, and the pace may be intentionally slow. Now, if you read for the story, which you look at as what “happens” in the book, then it may take a while for it to get going, but if you are willing to sit back and enjoy the atmosphere, the panorama laid out before you, then you’re in for a treat, at least, if you like that sort of atmosphere. It’s a seven-course meal, and stamina is necessary. The story is not bad, but it’s not the book’s strongest suit, which is the feel it invokes. Now, for a slight comparison, look at movies, which we often go to not for the message they carry, or the story they tell (which is what I accused Watchmen of lacking), but for the emotional response they raise within us. Sometimes they do it with cheap tricks we can see, and sometimes we are affected nevertheless. Eastwood’s Gran Torino is an example for a movie that I liked, regardless of any message it may tried to pass. It hit you, and that was enough. That it was well crafted was a bonus. Scores? Jonathan Strange & Mr Norrell wins 5 barometers, and 3-3.5 on the story front, and Gran Torino lays out 4 punches to the gut.